Wire seems to have a mind of its own. It kinks. It bends. And it refuses to curl gracefully. It’s difficult to persuade wire to conform to the vision you have in your head. 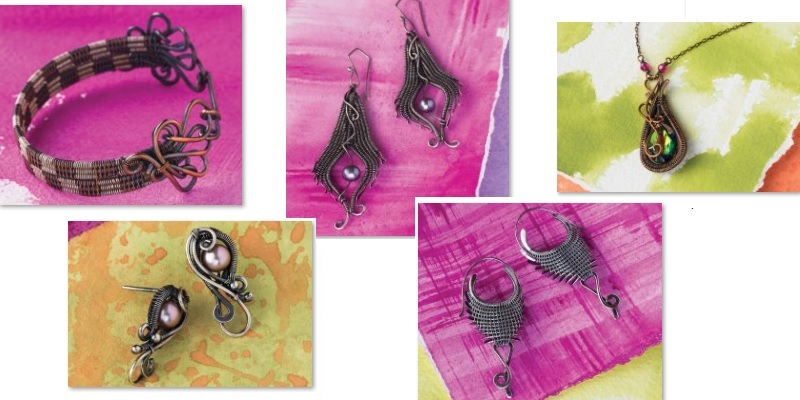 That’s why Sarah Thompson’s beautiful wire weaving jewelry designs are so impressive. 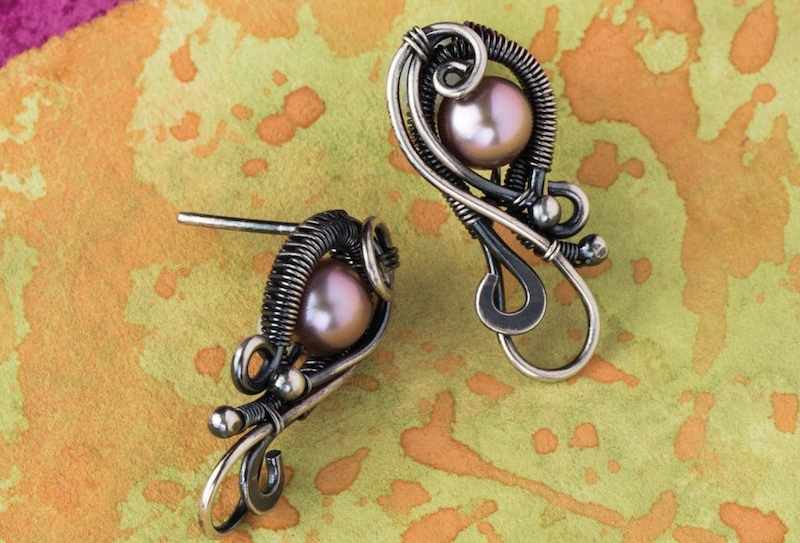 The intricate detail in each piece reveals the mastery she has over her art form. 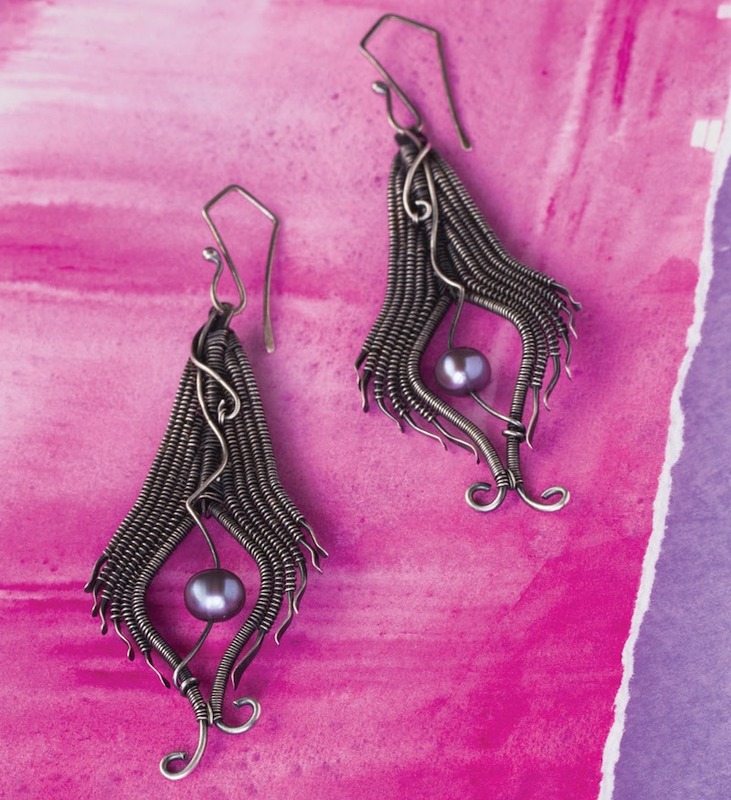 If you’re just getting into wire weaving, now is the perfect time! The wire world is currently rejoicing in Sarah’s latest book, Woven in Wire. 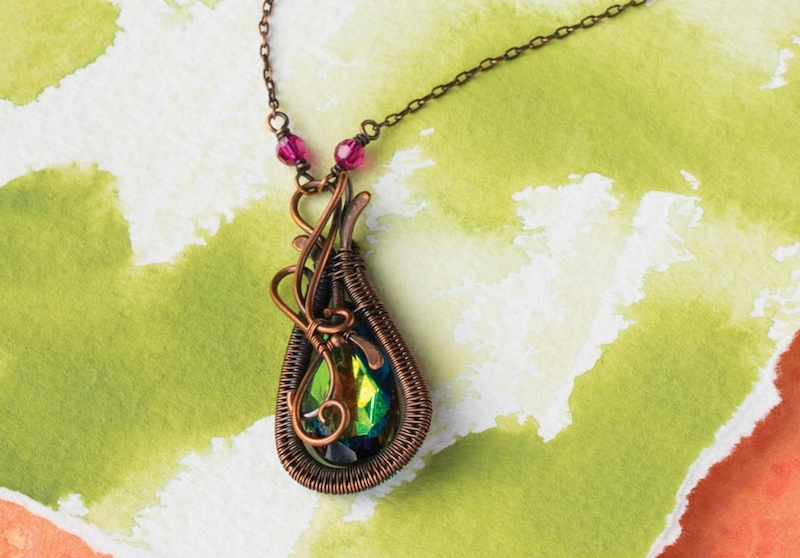 And Sarah’s first book, Fine Art Wire Weaving, is now available as a three-part series of interactive online workshops. 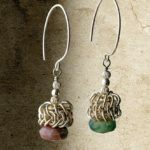 In her workshops, Sarah lays the foundations for wireworking, preparing you for success as you master the craft. Each workshop contains Sarah’s thorough guide to tools, materials, and wireworking techniques, including basic weaves, design elements, finishing touches, and findings. Illustrated with color photos and accompanied by detailed explanations, this guide serves as a reference that you can turn to whenever you need it. In addition, each workshop features a set of Sarah’s projects created specifically for that level, allowing you to hone your skills step by step. Once you’ve mastered the techniques and projects from her Getting Started workshop, get ready to take things up a notch in the intermediate level course. Sarah’s eight intermediate projects masterfully combine progressively-difficult skills with elegant styles. 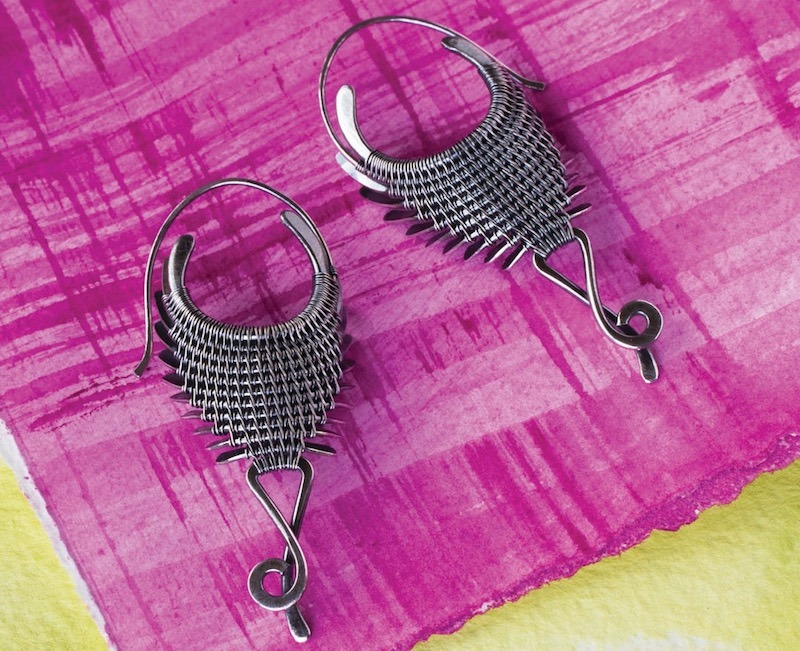 You’ll love refining your modified soumak weave as you make the Scorpio Earrings. The All Checkered Out Bracelet will challenge you to combine the figure-eight and modified soumak weaves, plus hone your abilities to loop and lash. I love how each project lists the techniques involved, allowing you to refer to Sarah’s guide to the basics. And let’s not forget the advice I needed to hear the most: start with the basics—something Sarah reiterates in this Q&A post. Tempting as it is to jump into a full-on project, I know from experience that my first stab at something new turns out, at best, as an ugly prototype. So I chose a reasonable, bite-sized skill to focus on: the basic figure-eight weave. I dug out some coils of wire I had stashed around for making holiday ornaments and antennas for butterflies, and diligently reviewed Sarah’s instructions. Three times. With a bit more confidence, I started again, this time correcting my initial mistake of spacing the base wires out too far. I realized that it was my job to give the wire intention. 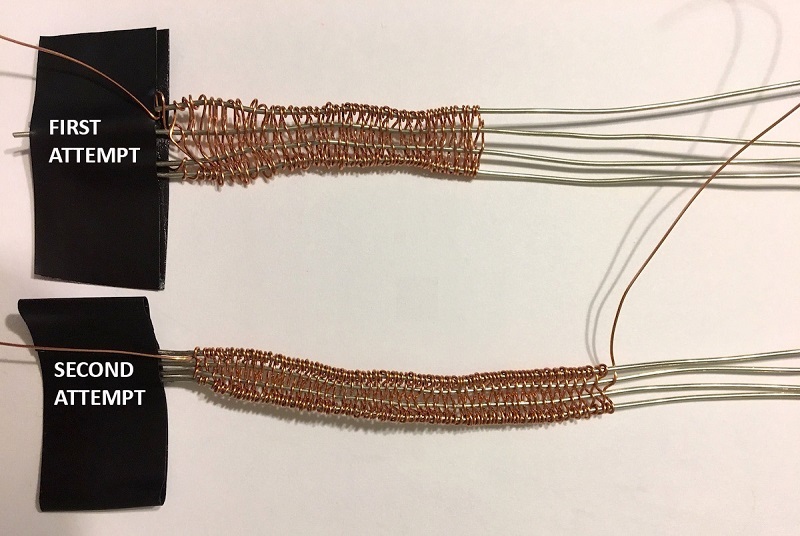 That meant I had to wrap the weaving wire around each base wire individually—no short cuts—pulling the wire in the direction I wanted it to go before guiding it to slide past the next base wire. I also noted that Sarah wasn’t kidding about the importance of taking breaks to stretch my hands. This time my weave was much tighter and more controlled, though it was far from perfect. I even curled the ends and fashioned it into a little ring, just for fun. This peek into wire weaving has given me a greater appreciation of what’s possible with practice and dedication. If you find satisfaction in forming wire with your hands, Sarah’s workshops will guide you through progressively complex techniques. The projects you’ll make along the way provide instruction and also serve as their own beautiful rewards! 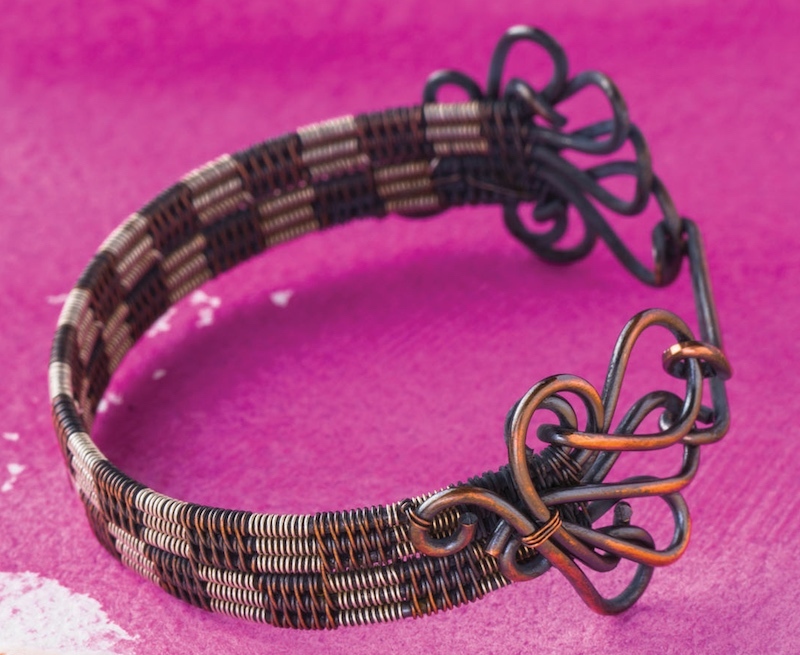 Master wire weaving with Sarah Thompson!